Boeing [NYSE: BA] has invested in Accion Systems Inc.'s scalable, electric propulsion technology to transform satellite capabilities in and beyond Earth's orbit. Accion's new Tiled Ionic Liquid Electrospray (TILE) in-space propulsion system aims to increase the lifespan and maneuverability of satellites and other vehicles in space. Leveraging a non-toxic, ionic liquid propellant as well as postage stamp-size thrusters, the TILE system is smaller, lighter and more cost-effective than traditional ion engines. Boeing HorizonX Ventures led the investment round with participation from GETTYLAB. The investment and partnership will help Accion grow its manufacturing and connect with Boeing experts, resources and state-of-the-art facilities. 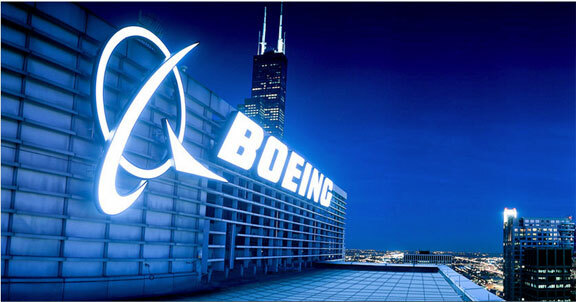 Boeing HorizonX Ventures targets investments that help scale startup innovation in aerospace. Its portfolio is made up of companies specializing in autonomous systems, additive manufacturing, energy and data storage, advanced materials, augmented reality systems and software, machine learning, hybrid-electric and hypersonic propulsion and Internet of Things connectivity. Brian Schettler, the Managing Director of Boeing HorizonX Ventures, said that Accion's scalable technology can help bring game-changing capabilities to satellites, space vehicles and customers. Investing in startups with next-generation concepts accelerates satellite innovation, unlocking new possibilities and economics in Earth orbit and deep space. Natalya Bailey added that the firm's TILE product family gives satellites greater capabilities, and at the size of a postage stamp, it fundamentally rewrites the relationship between mass and propulsion. Boeing's aerospace leadership will help Accion deliver safer, higher performance next-generation propulsion systems to market for satellite and deep space exploration applications.